Waking up in the middle of the night can be annoying especially when all you have to do is go to the bathroom but later find it difficult to go back to sleep. Insomnia is a sleep disorder that is characterized by difficulty falling and/or staying asleep. Study finds that rolling your eyes up to an angle of about 20 degrees, the brain shifts from its alert beta state to the relaxed alpha state, characterized by a slowing of brain waves, helping you drift off. After going to bathroom, stay still before going back to sleep. Do some exercise on your muscles by squeezing . Start at the toes, move to the feet, then the calves, thighs, buttocks, abdomen, back and shoulders, arms, hands, fingers, forehead, face and finally, your eyes. Research suggests that rubbing your ears stimulate a sleep-sensitive acupressure point in the ear called the Shen Men. All you have to do is use your thumb and forefinger and rub the top of your ear until you feel relaxed. You will be asleep without even noticing it. When we are at dark or during at night, our brain is stimulated to release a certain hormone called melatonin which is responsible for inducing relaxation and sleep. If our eyes are exposed in light, our brain will falsely perceive it as daytime and would suppress the production of melatonin thus making it harder for us to feel relaxed and fall asleep. Milk has small amounts of tryptophan, the raw material the brain uses to build both serotonin and melatonin. These are compounds that help us relax and prepare for sleep. 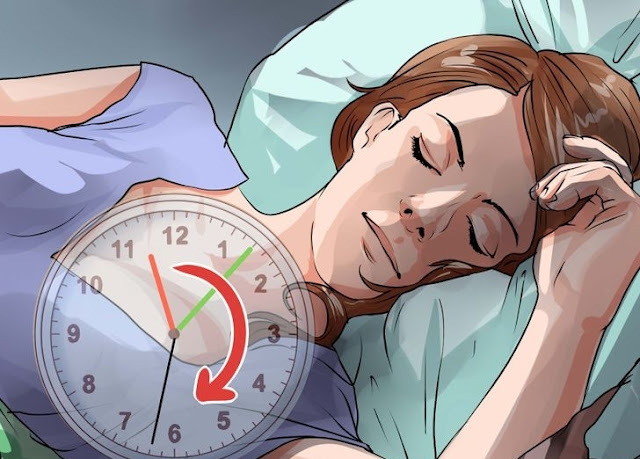 With these 5 tips given above, it will help your body relax and have a peaceful night which helps you promote better sleep naturally.